There are big time differences between hiring a property clean out service and renting a dumpster. This isn’t something to take lightly because it’s often fraught with safety and health risks. Plus, it can easily be overwhelming. Whether you’re dealing with a hoarding situation or you’ve bought a distressed foreclosure, when it comes to property clean out, you’ll need a solid plan to follow. Then, there’s the matter of what you are throwing out. This is due to the fact that dumpster rental companies prohibit a whole host of items. All of this, not to mention that dumpster is a huge obstacle that will stay put until it’s hauled away. No heavy lifting. All the heavy lifting is your responsibility. Either that, or cash-in on some big favors from family and friends. But, if you hire a property clean out service, all the hard work will be done for you. Avoid sorting. It’s very important to keep in mind that when you rent a dumpster, the work is all on you. Which means, you’ll have to sort through all the stuff because the company won’t sort it out for you. Typically, these include hazardous waste, electronic waste, but can certainly prohibit a lot more. Receive an upfront price. Hiring a property cleanout service means getting an upfront estimate. This gives you a price before the work begins. Conversely, a dumpster rental might come at a fixed rate, but as stated above, it all depends on ordering the right size. Fewer inconveniences. A dumpster is a big thing. And, it can block your driveway. Or, it might also not be so welcome on your block for long. Furthermore, it’s not going anywhere until the company comes to pick it up. 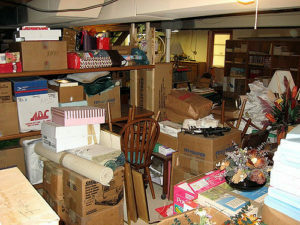 When it’s time for a property clean out, just phone 800-433-1094 or visit Junk Garbage Removal.